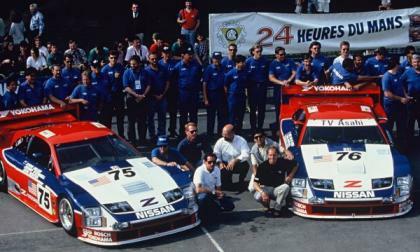 On the twentieth anniversary of the 300ZX's Le Mans victory, the car will show up to commemorate that by once again showing up on the track. 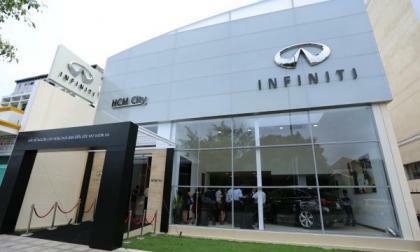 Nissan's premium brand Infiniti is stretching its legs once again, this time entering the Vietnamese market. 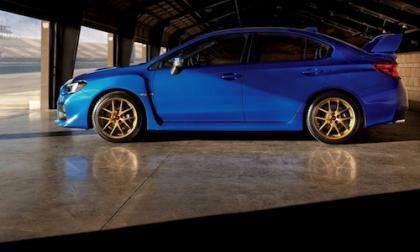 If you want a 2015 Subaru WRX or WRX STI be prepared to wait. Dealers can’t keep up with the demand. How long is the wait? 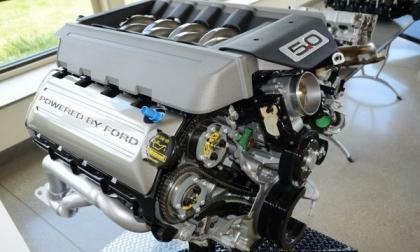 Subaru sued over excessive oil consumption: Is your car on the list? 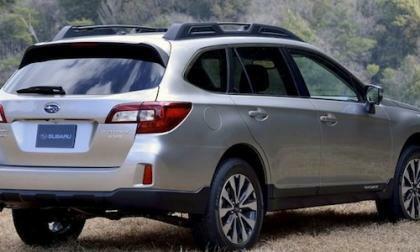 The 2014 Subaru Forester, 2013 Outback, 2013 Legacy, 2013 XV Crosstrek and 2013 Impreza all have potential oil consumption issues. Now there's a Subaru Oil Consumption Lawsuit pending. 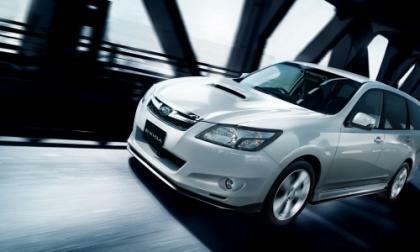 Read more about Subaru sued over excessive oil consumption: Is your car on the list? 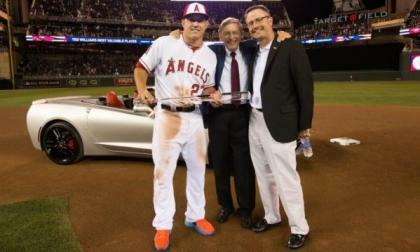 After being named the Most Valuable Player for the 2014 Major League Baseball All Star Game, Angels’ slugger Mike Trout took home a brand new Chevrolet Corvette Stingray Convertible – picking the sleek sports car over a brand new Chevrolet Silverado pickup while also signing the hood of a second Corvette to be auctioned off. 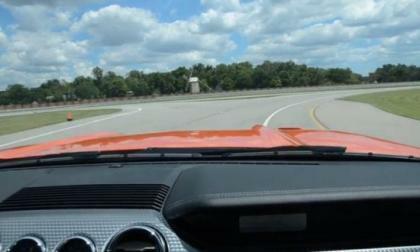 Few people have had a chance to ride in the 2015 Ford Mustang, but thanks to a special event held for select media yesterday afternoon, I had a chance to ride in a trio of new Mustang fastbacks and I had the camera rolling – giving you a chance to take a virtual high speed ride in the next generation pony car. 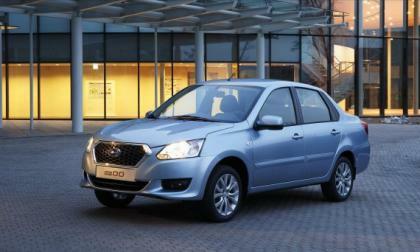 The revival of the Datsun name continues as the brand expands into Russia with production beginning on the on-DO family sedan. 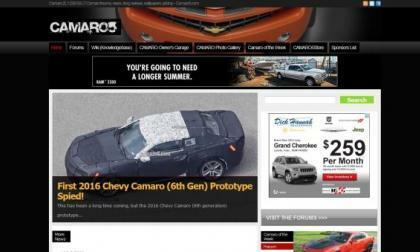 General Motors has done a very good job of keeping the 2016 Chevrolet Camaro completely hidden from the prying eye of spy photographers over the past few months, but the first batch of spyshots have surfaced online – showing a heavily camouflaged car that looks far more like a refreshed current Camaro than a radical redesign. Another of those “battery breakthrough” technologies has progressed to real-world testing, but we won’t get our hopes up just yet. 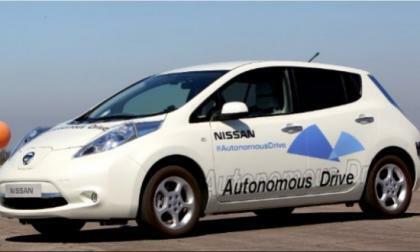 At a press conference in Japan, Nissan CEO Carlos Ghosn talked about the company's plans for self-driving vehicles, but the details were far more interesting than the headlines. 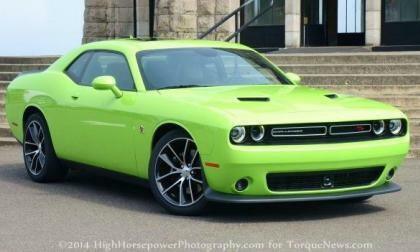 While everyone (including me) was busy focusing on the incredibly low price of the 2015 Dodge Challenger SRT Hellcat, many failed to look at the pricing for the rest of the 2015 Challenger lineup – with pricing for the other V8 models that make them great bargain buyers relative to the competition. Ford has announced the first official power figures for the entire 2015 Mustang lineup and while the numbers are a touch lower than rumors had suggested, the numbers are still sure to make the S550 Mustang an awesome performance model – from bottom to top. 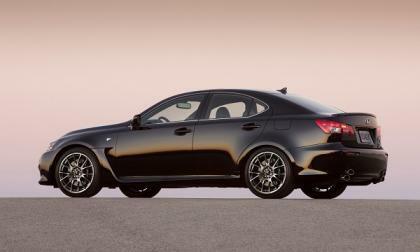 Our prediction is that the coming RC F will mean the end of the unique Lexus IS F super-sedan. 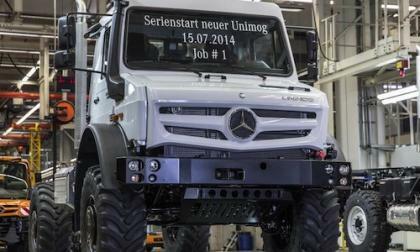 The largest most extreme 2015 Mercedes-Benz Unimog U 5023 4x4 ever rolls off assembly line in Worth. Why is it called the most extreme off-roader? 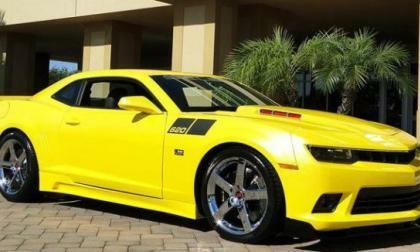 The folks at Saleen Performance are best known for tuning the Ford Mustang, but they also have a variety of high performance packages for the Chevrolet Camaro and one of their retailers recently posted a video and eBay listing online with a price of $101,255 – which is a crazy high price for this 575 horsepower GM muscle car. 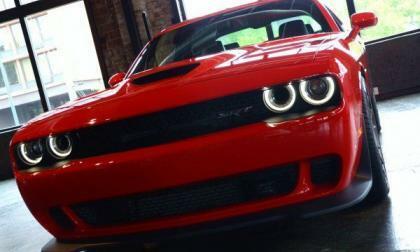 While we had initially expected that the 2015 Dodge Challenger SRT Hellcat would hit 200 miles per hour, word on the street is that the 707 horsepower Mopar muscle car will fall just short – with a top speed of 199 miles per hour. 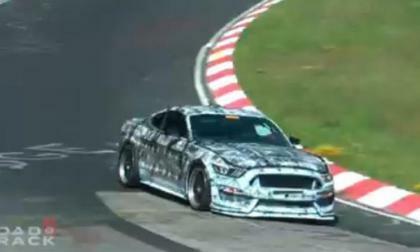 While we still don’t know for sure what the highest performance version of the 2015 Ford Mustang will be called, video has surfaced of the next gen super-Stang in action on the German Nürburgring, giving us the best opportunity yet to see and hear fastest pony in action and honestly – it sounds incredible. Can the Toyota Tacoma survive the 2015 Chevy Colorado and 2016 Nissan Frontier? 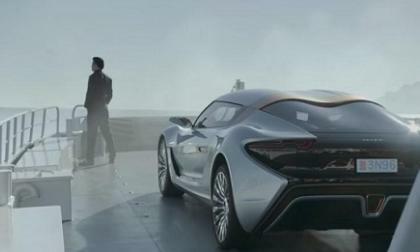 Toyota is losing share to Nissan already. Can it do anything to stop that considering that a new 2015 Chevy Colorado and a new 2016 Nissan Frontier are coming? 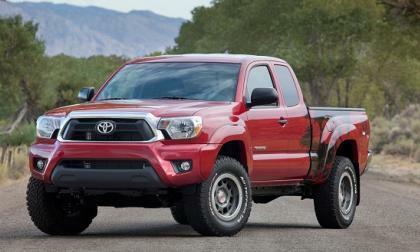 Read more about Can the Toyota Tacoma survive the 2015 Chevy Colorado and 2016 Nissan Frontier? 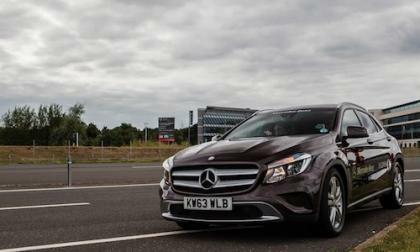 Mercedes-Benz adds a new 2015 GLA-Class diesel model to the compact luxury SUV lineup. Just how fuel-stingy is it? 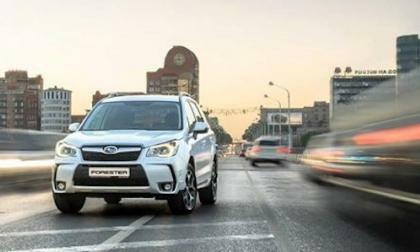 Subaru has introduced a new 2015 Exiga Airbreak 7 seat SUV for the Japan market. Is this the forerunner of the U.S. model? 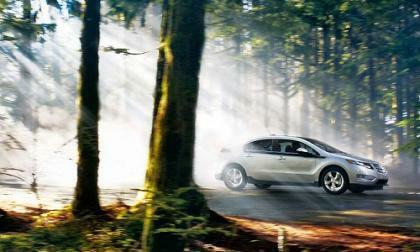 Everyone seems to be holding out for the 2016 Chevrolet Volt, the model year due for a significant redesign. Yet even the unheralded 2015 model has received an unexpected improvement. 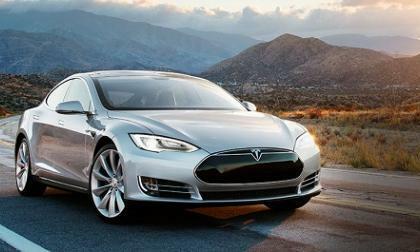 As far as names go, Tesla doesn’t delve too deeply into the depths of creativity. Somehow it seems to work quite well, and the naming of their most important car yet follows the pattern. 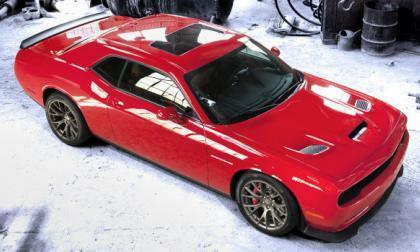 The Chrysler Group has announced the pricing for the 2015 Dodge Challenger SRT Hellcat and amazingly, this 707hp monster is actually less expensive than I had expected with a price of $59,995 – putting it in the range of the midlevel Chevrolet Corvette Stingray 2LT with 455 horsepower. 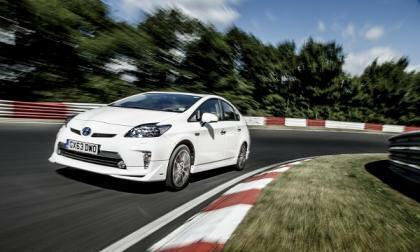 The Prius you love, but with a Plug just ran the famous race course following all the track rules on 2.5 ounces of gasoline. Lexus IS 250 and IS 350 buyers trend younger, more affluent, and more male. Lexus could not be happier. 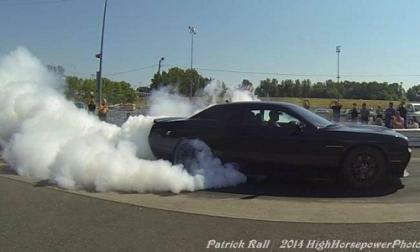 Here is your quick look at the 2015 Dodge Challenger Hellcat launching on the drag strip as it was launched in Oregon yesterday on July 15, 2014. 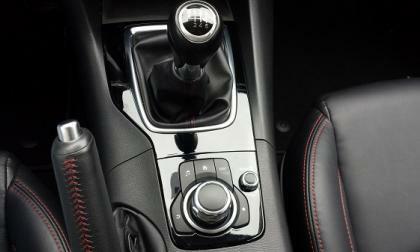 The chatter from Mazda’s dealer network is that the Mazda3 will soon be offered with the most-powerful engine and also a 6 speed manual for the new model year. The last 2015 Mitsubishi Lancer Evolution was unveiled at the Mitsubishi Owners Day. 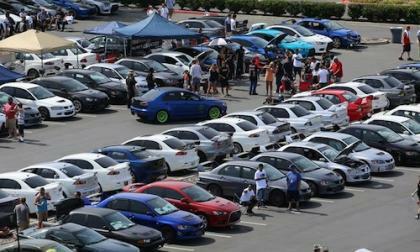 Why are EVO owners so unhappy? Why is Warren Buffett not buying a new 2015 Subaru Outback? The billionaire drives a Cadillac XTS. 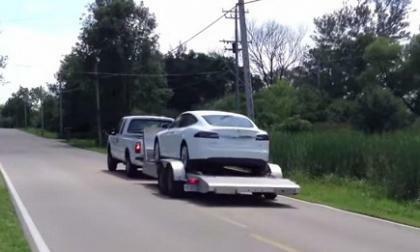 Just over three months after the news was made public that a Wisconsin lawyer planned to file a lemon lawsuit against Tesla on behalf of his client, the self-proclaimed “lemon law king” released yet another video concluding the saga.